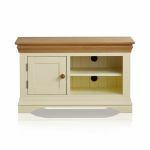 This distinctive Small TV Cabinet forms part of our ever popular Country Cottage Natural Oak and Painted furniture collection. 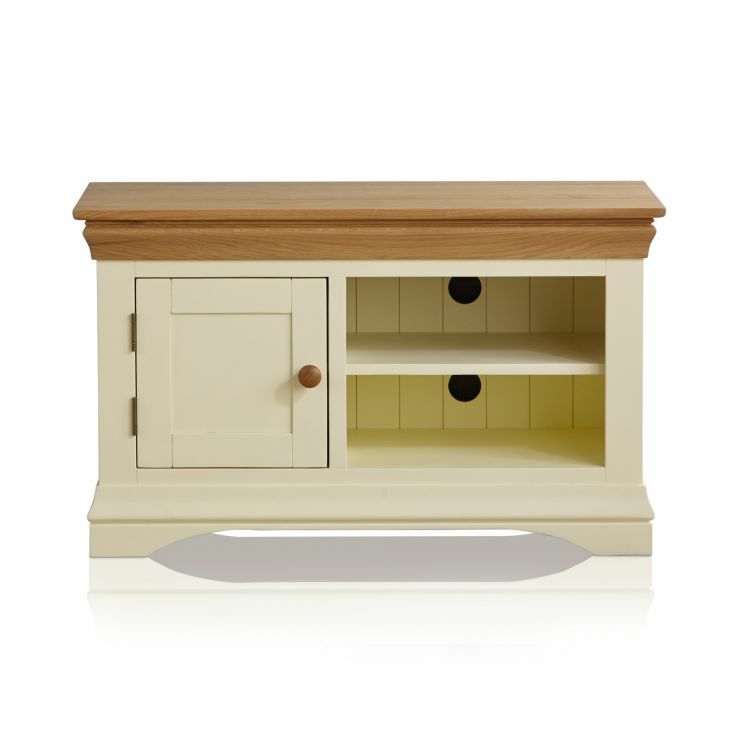 With an elegant cream painted finish and a beautifully contrasting natural oak top, it’s made from the finest cuts of solid hardwood throughout. 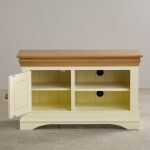 Inspired by a classic French design, each item from the Country Cottage range features an elegantly moulded crown, arched base and quality drop-bar ironmongery. 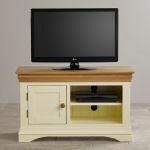 Crafted to blend style with essential functionality, the cabinet features two deep shelving areas plus a roomy cupboard on one side for DVDs and accessories. 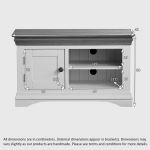 A bespoke exit hole at the back of the unit allows for the neat routing of any cables. 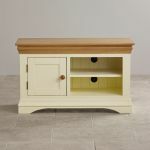 Why not check out the rest of the Country Cottage Natural Oak and Painted Collection to discover matching items for the dining room, living room, hallway and bedroom?